Michigan’s business community has been the big winner from major tax changes pushed by the Snyder administration when the governor first took office. Shortly after taking office in 2011, Gov. Rick Snyder signed legislation that replaced the state’s unpopular business tax with a flat new corporate tax. He eliminated most tax credits, though payouts of now-defunct Michigan Economic Growth Authority (MEGA) credits given to companies to create and save jobs during the recession will continue to strain the state’s budget for more than a decade. Those business tax changes have altered the state’s revenue picture. When adjusted for inflation, Michigan collected 5 percent less in overall taxes in 2016 than it did in 2008, during the Great Recession, according to a Bridge analysis of state data. That equates to more than $1.6 billion in lost revenue. That decrease is led by more than $2 billion in business tax cuts over the same period, when adjusted for inflation. Property taxes, which fund public schools, fell by nearly $449 million, the second-largest decline in dollar figures. The new corporate tax is also volatile and depends on corporate profits and other economic factors. The result is that Michigan now relies more heavily on individual taxes from residents. Nearly 70 percent of the revenue in the general fund budget this year comes from income taxes, up from 54.6 percent in the 2012 fiscal year. Business taxes, meanwhile, are an estimated 1.9 percent of the state revenue pot this year, considerably less than 12.4 percent in 2012. One potential problem with that shift to personal income taxes is that they, too, are vulnerable to swings in the economy. Should another downturn hit and unemployment begin to rise, income tax revenue will fall, creating more strain on general fund resources. John Nixon, Snyder’s first budget director from 2011 until March 2014, said the motivation in reforming how companies pay taxes in Michigan wasn’t strictly to give tax breaks to businesses. Michigan desperately needed to create fiscal stability if it wanted to be able to attract new businesses, he said. Simply put, he said, the old Michigan Business Tax was not competitive. That’s not an argument that’s gained much traction with labor and other critics, who complain that businesses aren’t paying their fair share of taxes. Nixon said the higher business taxes in place before Snyder led to less capital to spend on employees, equipment, research and development. Ultimately businesses don't really pay any taxes' at all! All taxes, as with all costs, slide down to customers with higher prices, employees through employers pushing for higher productivity (lower wages) and owners with lower profits. Over time employers (owners) decide to shutdown, move to more favorable locales or don't come in the first place, leaving this final burden on remaining tax payers. Those are the only choices. Funny, for all the carping from some Bridge readers about influence of business and fact that no business ever voted in an election, what ever happened to "no taxation without representation"? Privitize profits, socialize costs. The Republican mantra. Simply said, 'the rich get richer and the rest of us pay more'. surpassed other resources as the driver of economic growth." Low cost of capital attracted Amazon's $12-15 an hour warehouse jobs. Tax cuts...by reducing state ability to invest in higher education, cities, etc. ... killed our ambition to win $100,000 an hour Amazon headquarter jobs. Simple as that. Dave, What evidence is there that the state's reduced spending on higher Ed has had any effect on numbers of graduates being produced? Not seeing it. Seems the biggest factor in college attendance is the availability of employment opportunities for otherwise marginal students. During the depths of the recession college enrollment was at record levels for exactly this reason, limited job opps. Not that I buy your reasoning regarding state aid to cities or the premise that churning out gobs of college grads necessarily propels prosperity or that if we only had more spent more Amazon would be here!! By the way how many college grads were produced by all Michigan colleges and U's? I bet it puts us near the top. Take a drive through the streets (not freeways) of Detroit, and then get back to me on how education allegedly scared Amazon away. Kevin - how about actually contributing something factual, with evidence, etc. instead of something like what you just threw out. Tell us what 'Take a drive through the streets of Detroit,...' exactly means. What? Lots of poor people, largely African-American? Was that it? I would like to see The Bridge do an in-depth investigative piece on residential taxation, specifically, the bizarre and machiavellian manner is which small cohorts of retired taxpayers, who were born in certain narrow brackets of years, are obligated to pay more in tax than otherwise identical taxpayers born outside of the bracket years. 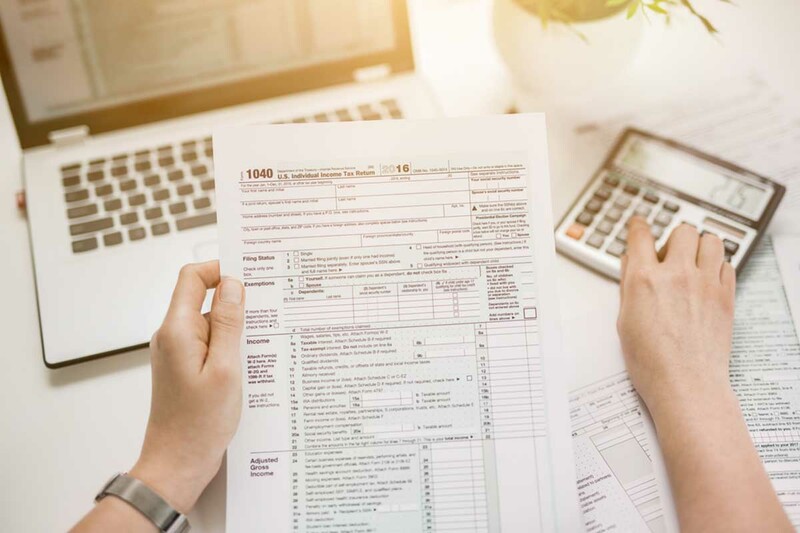 Two lawmakers, both republican, have introduced bills to undo the 2011 tax law changes that ushered in the ability to make these strange little groups within groups of taxpayers. These lawmakers are: Sen. Rick Jones and Rep. Tom Barrett. The obviously algorithm-driven tax code needs to be changed, but Gov. Snyder, whose idea it was, likes it because he views small groups of taxpayers to be powerless. Well, now he is term-limited, and people affected by these hiked pension taxes are not likely to vote for a candidate from his party. Snyder's stated reason for business tax cuts were to create more jobs. Please ask him and his Republican tribe of selfish idiots to inform us of how well that worked - especially when you remove the additional workers caused when can sales rocketed up. Anybody who returns this tribe of harmful depressors to Michigan's Congress this November will deserve what falls out - upon them once more. And if you don't get out and vote - don't complain once more! Zeke, In case you missed it, seems that Michigan unemployment is at record lows even after the automotive and related businesses did their big employee shed 2000 - 2010, so clearly other businesses have taken up much of the slack in hiring. Nor are we reading about the stream of companies leaving the state as we did prior to Snyder in Granholm's term. Pinning economic performance on any politician is a fool's errand but most national groups point at Michigan's improved business climate (Snyder) for some credit in jobs creation. Sorry if it seems you're having trouble finding one. Matt - I followed the tax cuts closely with our then local Rep., Rick Olson. I asked him how the job creation was being measured against the tax giveaway and how we would know the businesses getting all the money actually created jobs. After a lot of hot air and 'everyone knows', and 'it's just logical' he admitted there was no way to actually measure it. And measurement was impossible because of how the legislation was written and how the money went out. The legislature did NOT want any way to measure it because it might (and probably) would show the money didn't create jobs. I did a lot of analysis on SPARK in Ann Arbor (Snyder created it) and worked with others to get an independent 'job creation' audit conducted. The results were stunning: 169 jobs! Snyder claimed as many as 13,000 jobs created annually when he was there. Your 'Improved business climate' is more hype. How about a recovering national economy and a sane person in the White House: Barak Obama. Now with the GOP there we're already seeing the 'Trump Slump' as we dig a $2 trillion dollar hole. Throwing more money at the rich and corporations with promises that won't be measured or evaluated. This article refers to "lost revenue". It should read "less revenue". I don't believe we taxpayers have granted the State permission to expect a certain amount each year. Snyder's corporate welfare cost me $1009 from my pension last year. People like Al Pscholka sold this mess township by township by lying straight up to residents. He said, "The tax burden will NOT shift to residential property taxes." Hmph!